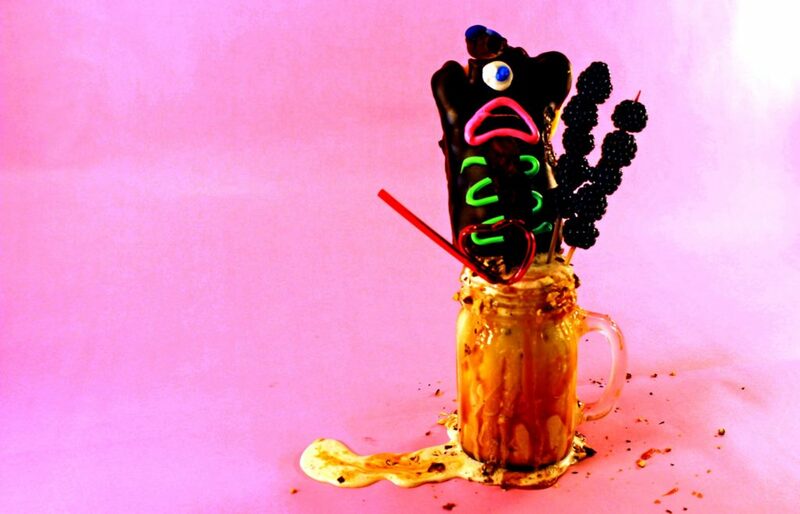 The internet food trend, Freakshakes arrive in Portland. Check out this DIY video on how to make your own. This one deserves not one, not two, but three exclamation points. As the latest addition to my ongoing Portland Plates series, I made a Portland themed Freakshake. Normally, I recreate dishes from popular local restaurants, but this time, I’m branching out with a creation of my own. I’m not going to share a specific recipe for this but I will say I used Voodoo Donuts, Tillamook Ice Cream (it’s the best), local berries, bacon, hazelnuts, a caramel sauce made with Jacobson Salts and lots of weird toys on top. For the caramel sauce I used Joy The Baker’s Almost Burnt Caramel Sauce from her first cookbook, it’s similar to this one but without the orange juice. So get creative and make your own freakshake. Metal!!! 1 Comment on Portland Plates: Freakshake!!! Kristi! I love it! I could learn a thing or 2700 from you!